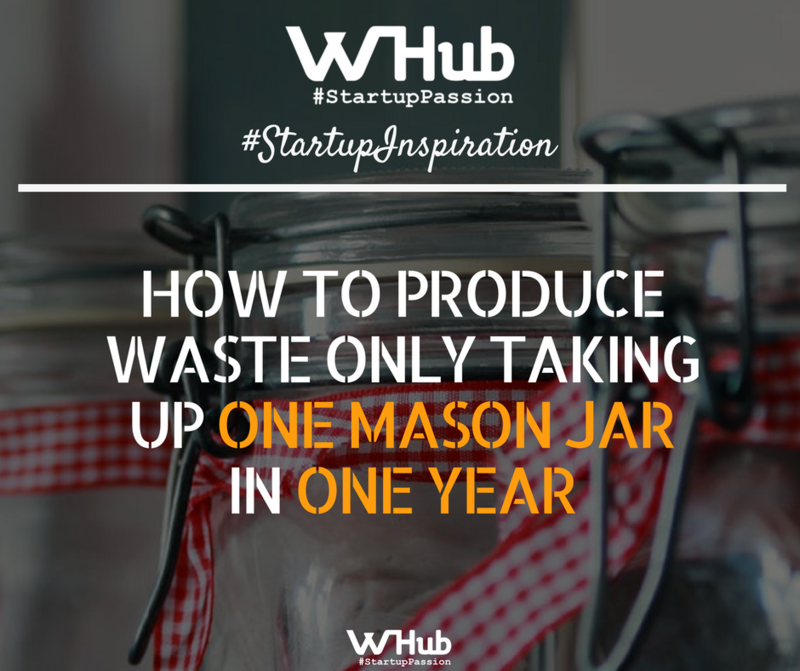 How to produce waste only taking up one mason jar in one year? Zero waste is not a new idea, but how many people are actually doing it in Hong Kong, one of the most wasteful cities worldwide? What can you do to help make Hong Kong greener? Last week, Paola Cortese and Hannah Chung shared their experience as zero wasters, people who encourage the redesign of resources such that no trash is sent to incinerators (some can even fit in their annual amount of waste in a mason jar!). The event was filled with audience with lots of ideas about waste reduction, so read on to find out about zero waste lifestyle, resources in HK, zero waste startups, zero waste essentials and additional links. · Paola Cortese moved from Jakarta to Hong Kong, she is a zero waster and founder of LoopUnite! What inspired you to become zero wasters? · From Hannah: Hong Kong lacks the resources to support recycling, e.g. plastic recycling has reduced after financial crisis simply because there isn’t funding. It’s cheaper to produce a new plastic bottle than to recycle. If I can raise people’s awareness about reducing plastic waste, I am happy to do so, so I started doing zero waste. · From Paola: When I was an interior designer back home in Jakarta, I always pushed sustainable options to my customers. But my home was not as sustainable as I would like it to be, and I didn’t know how to improve it. When I read about zero waste and the circular economy[i], it clicked to me it’s a perfect goal to take on for my life. It forces us to look at ourselves as part of nature, as one of many, instead of seeing ourselves above nature. That kind of mind switch is why I’ve become a zero waster. How do you keep motivated to be a zero waster? · From Hannah: I try to be creative and treat zero waste as a game, I won’t punish myself if I forget to do it one day. · From Paola: Zero waste is not a competition. If you feel challenged, remind yourself on why you are doing it and you just need to get to the rhythm. What are some of your tips for being a zero waster? · From Hannah: Start with baby steps, for example, Green Monday, where you cut down waste one day and stretch it out if you are interested. · From Paola: Start by refusing straws when ordering drinks, and be prepared to carry around with you zero waste essentials, e.g. tumbler for water, lunchbox, your own cutlery and handkerchief. How do you maintain a balance between pursuing zero waste and securing quality food? For example, shopping at wet markets can reduce the amount of packaging used, but the quality of meat may not be so good. · From Paola: In HK, you can either go to a butcher for organic or free range or to a high-end supermarket for quality food. If you go to a supermarket, you can ask them to put the meat in your own box. · From audience: Our family order meat from warehouses supplying to restaurants, we buy in bulk together with other families. This allows us not to support the bad part of the food industry. · From audience: You can also go to farmer’s markets to source local foods. When you eat out or travel, restaurants and airlines waste a lot. How do you reconcile that? · From Hannah: The idea of zero waste is not to make people feel guilty, but show how small movements can create a positive change, so we just have to do what we can to reduce waste. · From Paola: You can’t take responsibility for everything, but whenever I can, I recycle and compost my waste. I have bought a Bamboo toothbrush, but realise that decomposition takes about 2 years. How should I handle it to reduce waste for the environment? · From Hannah: Check if your housing estate programme has a compost programme to turn your waste into compost to help maintain the landscape. · From Paola: You can use a compost machine to turn into non-toxic fertilizer to be used for your plants. · From audience: If you run boiling water over the toothbrush, the bristles will come back a bit, so you can cut down on buying. What are some of the resources for the circular economy in Hong Kong? · From Hannah: You can also check out the initiatives set up by individuals, such as zerowastehongkong.com, or Facebook groups. Or you can set up your own! The good thing about these is that anyone can start these initiatives. · From Paola: There are some organisations in Hong Kong, such as Plastic Free Seas, Sea Shepherd, The last Straw and https://www.change.org/, and some restaurants like Mana or Grassroots Pantry. · From audience: You can also try “Waste no mall”, a weekend market event hosted every Saturday in Yuen Long. What sources can you use when it comes to buying clothes apart from fashion swap groups? · From Hannah: You can buy second-hand clothing from consignment shops Green Ladies. You can take your clothing to act as consignment and also buy from them. · From audience: Another shop is called Closeteur, which sells high-end and designer second-hand clothing. The NGO group called Redress do fashion shows once a year featuring eco-friendly local and international designers. Paola, can you tell us more about your start up on zero waste, LoopUnite!? · From Paola: Sure. We aim to create an online community about zero waste and unite all necessary resources in one platform. We are building an e-commerce marketplace to aggregate all kinds of zero waste solutions we can find in HK, both products and services. We also offer personal consultation, talks, workshops and a column like Agony Aunt to answer questions about zero waste. Living in a capitalistic society like HK, we need the suppliers or corporates to also push for zero waste. What steps will your start up take towards this? · From Paola: LoopUnite! will act as a platform to aggregate the products that people need. I will create zero waste guidelines for suppliers to ensure their operations are more circular e.g. specifying the types of packaging allowed, conducting EPR (Extended Producers Responsibility) etc. I hope LoopUnite! can inspire other businesses to switch their operations to be more circular. [i] Circular economy is a regenerative system in which resource input and waste, emission, and energy leakage are minimised by slowing, closing, and narrowing material and energy loops. This can be achieved through long-lasting design, maintenance, repair, reuse, remanufacturing, refurbishing, and recycling.